As part of its Lean Manufacturing Initiative, Mike Alfonso, president, Grand Traverse Machine (GTM; Traverse City, MI) established a regular Thursday morning meeting to discuss tooling issues and opportunities. The family-owned shop specializes in high-precision manufacturing applications and has grown from a three-man operation in a 2000 ft2 (185 m2) facility in 1966 to a 29,000 ft2 (2694-m2) plant employing 70 people on two shifts seven days a week. 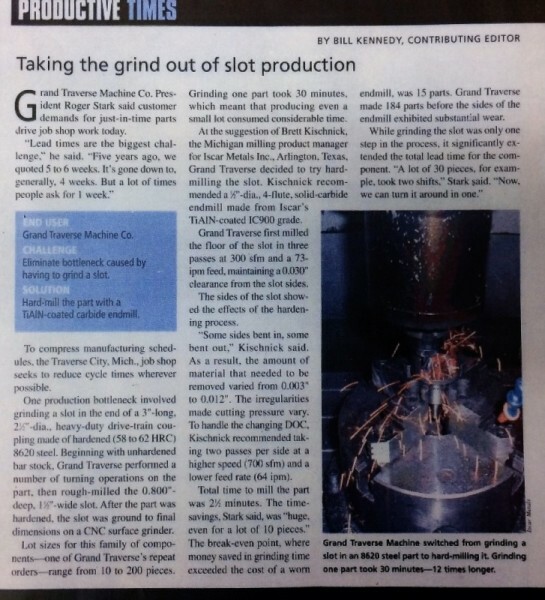 Tests conducted by Paul Briegel, GTM lathe department supervisor, demonstrate the success of that approach. One test involved turning a ball nut 1.5” (38 mm) in length for a leadscrew 3.137-12 UNS-3A thread. The material was 8620 steel hardened throughout to Rc 26–32. Adding to the challenge, it was also an interrupted cut, as it had a 6-32 cross hole in two places. “The HBA insert was developed for applications in extremely hard materials. Combining a rugged substrate with nano-coating technology, the HBA delivered superior performance for a number of customers, so I didn’t hesitate to recommend it to Paul,” said Schubert. “We were really pleased with the performance, so we decided to try the insert in an even more challenging application. The job involved threading a hydraulic piston rod made from 1045 Thompson shafting induction-hardened to Rc 50–55 to a case depth of 0.100” [2.5 mm] with a 0.562” [14-mm] diameter. We produce this part in lots of 100 with an annual quantity of about 2000, and we are aiming for a cycle time of 30 seconds encompassing 16 passes,” said Briegel. “We found one other insert that could do the job, but when we applied our price/value analysis, we discovered that it was delivering only 40 parts at a cost per part of $2.98. The HBA insert ran 96 parts per insert at a cost of 21 cents, less than one-tenth of the cost of the other. Computing insert cost and burden rate that amounted to a cost savings of $5533.33,” said Biegel. 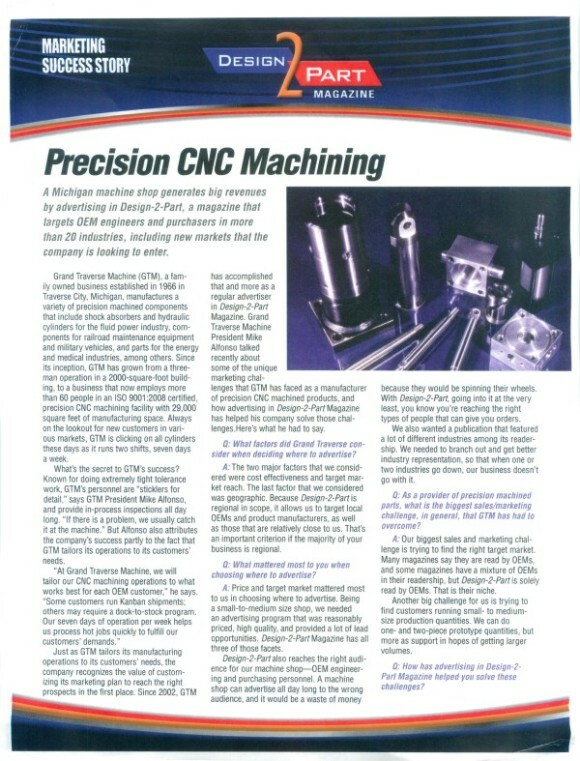 “New tooling materials such as HBA are really bringing costs down for shops and manufacturers doing hard machining. While CBN is an excellent cutting medium, the need to braze the toolbit to the holder raises the price substantially. We’ve converted over 70 of our customers to HBA and other more economical inserts,” said Schubert. “It is clear that without establishing a formal review process followed by a defined test protocol, it’s impossible to really understand where your savings and efficiencies can be found. Just as important, by keeping up with the latest technology, we can be assured that we’re delivering a better product to our customers. That’s what our Thursday morning meetings are about,” said Alfonso. For more information from Carmex Precision Tools LLC, go to http://www.carmexusa.com/, or phone 262-628-5030. 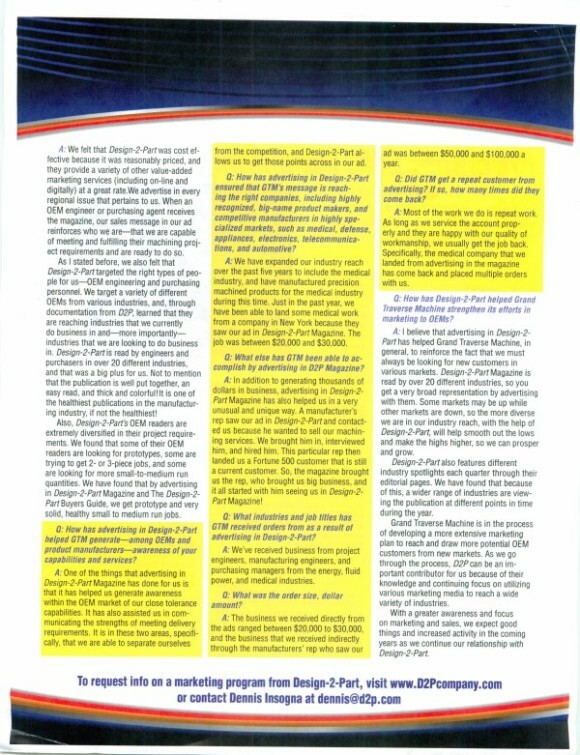 This article was first published in the February 2015 edition of Manufacturing Engineering magazine.Click here for PDF.